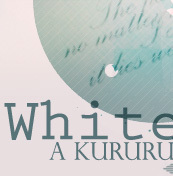 Welcome to White Knight, an approved fanlisting for Kururugi Suzaku from Code Geass - Hangyaku no Lelouch/R2. 14/7/2010 - A little late, but to celebrate 250 members, I'll be making a new layout! 20/5/2009 - Here's the button that was sent to me, for my 250 members! 13/4/2009 - WHITE KNIGHT finally reached 250 member!!!!! YAY!!! And it's also my 1st fanlisting that ever reach this number! Congratulations!!!! 4/6/2008 - White Knight finally reached 150 members!!! Thanks for your support everyone! 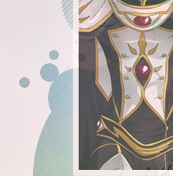 As a gratitude, head over to my DA account for my Suzaku Vector Project! Honestly,	I've never expected to have this much fans, since I know very well that Suzaku is not very unlikable ^^ So, I'm kinda happy now! 22/4/2008 - Added 5 new codes from R2 for each sizes. 21/4/2008 - YAY!! Finally a new layout! 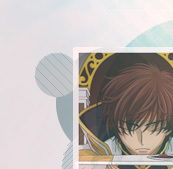 This time feature Suzaku from R2 ending sequence! 8/5/2007 - Added few 50x50 and 75x50 codes, donated by Ilona! Thanks dear! 2/5/2006 - Finally!!! A new layout!! I've been wanting to made a new layout since, what?? February?? Thank god I finally had a chance. Anyways, this time is just a simple ones with lot's of vector brushes. 7/3/2207 - Ummm... I'm thinking of making a new layout.. Maybe I will. I've used this one for a few months already. 6/2/2007 - Moving to a new home.. Thanks Kellie! 9/1/2007 - I've reached 25 members! YAY! 25/11/2006 - Remade the layout. HATE the first ones. Too simple, so I made something that I've never made before. And the result, is what you see right now! Also, managed to finished them in just one day and today is the grand opening! YATTA!!! 24/11/2006 - Finished the layout! Took faster than I thought. 23/11/2006 - YATTA!!!! I got Suzaku!!!! Even though at the time I got the e-mail I'm having some problem with my PC.. BUT! The e-mail brighten up my day!